We think that a new opener can be a fantastic upgrade to your garage door system. It can bring lots of benefits; more security, convenience and safety, as well as a faster and quieter operation. Finding the right unit for your specific needs can be a little complex, however. Here are a few important points to consider when choosing your new opener. How Strong Should It Be? The heavier your door is, the stronger your opener will need to be. A ⅓ horsepower motor is generally only appropriate for particularly small and light models, such as single-width aluminum door. ½ horsepower is the most common motor strength, and it is generally enough for most door types and materials. ¾ horsepower drive systems are well-suited for models that are particularly heavy, such as double-width and wooden doors. Bear in mind that an overpowered motor won’t have to work very hard at all, and so it can be expected to last longer than an underpowered one. Which Drive Type Will You Need? The biggest difference between the various types of opener models is the drive system they use, and each type is better used for different purposes. If you’re looking for smooth and quiet operation, a belt drive might be the best choice for you, while screw drives are ideal if you want to minimize maintenance. A chain drive opener is an excellent choice if you just want an affordable, reliable unit that requires some maintenance but can be very strong. Manufacturers have not been slow to incorporate smart technology into their automatic motor units. Chamberlain’s “MyQ” app allows you to control your WiFi-enabled opener directly from your smartphone, and some models can even automatically open your door when they detect you arriving home. With these innovations and many more hitting the market every day you’ll easily find the perfect smart technology for your home by checking out a few different options. The opener plays an important part in keeping your garage safe from thieves. One important development that’s reached the market recently is rolling code technology. This changes the signature of your remote control each time it’s used, preventing thieves from duplicating it. This is essential for keeping your home and property safe from intruders and is just one way that a new opener can be a great investment. Give our team at Garage Door Repair Des Plaines a call and consult with our experts on which model is the right one for you. Turn Your Garage Door Into an Open-air Theater for Valentines Day! It’s our mission to provide the best customer satisfaction around. Our team works hard to get your problem solved quickly and effectively – whether you need a new torsion spring or a replacement motor gear, you can count on our team to get the job done right the first time. Take a look at the rest of our website to learn more about the different services we offer. Our technician will contact you before arriving. Until then, feel free to browse our website! 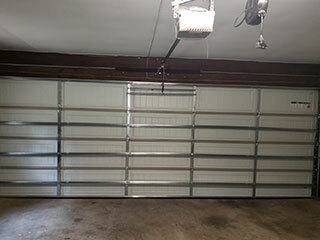 Garage Door Repair Des Plaines is at your service!